I was in NYC a couple of weeks ago, a destination to which I couldn’t wait to return. In my last post I talked about my love/hate relationship with this city. 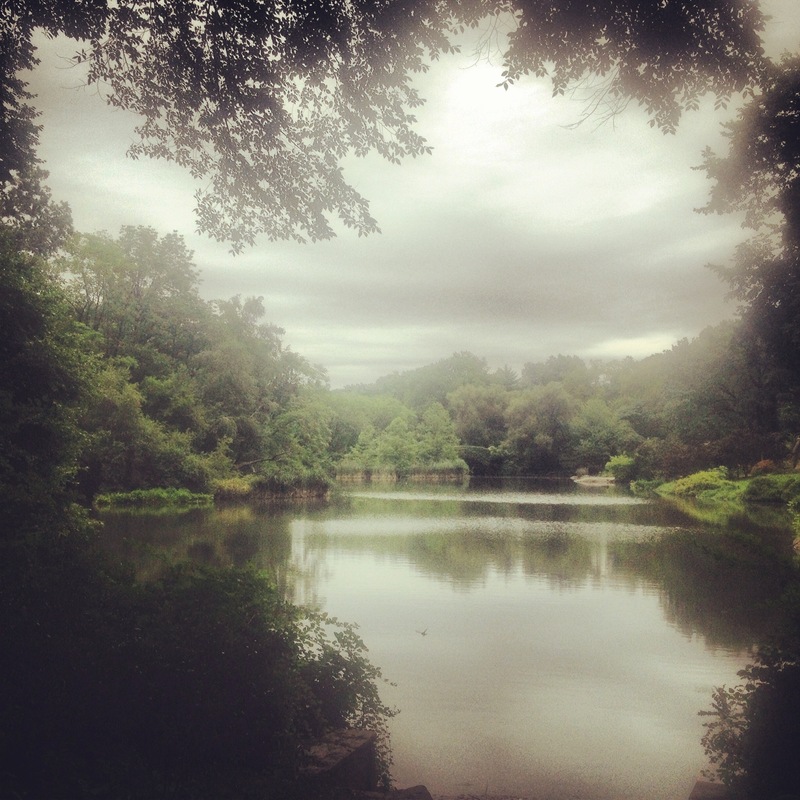 One of my great loves is Central Park which was designed by Frederick Law Olmstead. Mr. Olmstead also designed the much smaller Delaware Park in my home city of Buffalo. I am amazed every time I set foot inside this park. It’s as if the noise and the chaos of the city has simply melted away. Spend enough time in the park and it’s as if the noise and chaos of the city never existed. I rise at 5 AM, gently wake my son, slip on my running shoes and walk the one-half block to Times Square. I find a perch amongst the orange jump suited workers and the few individuals crossing this section of the universe on their way to their destination. I sit, sync my watch and stretch. As I wait for my watch to connect to the GPS satellites orbiting overhead; the signal attempting to make its way through the maze of buildings. I sit again, this time with my hands clasped together and raised to my forehead in thankful prayer. I am amazed at the lower decibel of sound which accompanies me at this time of day, anticipation rising because in a matter of a few hours, this place will again be a humming mass of humanity. I am thankful for the opportunity to be back in NY and to run again in Central Park. My son eagerly rose to run with me this morning, that and my birthday made this a special day for me. My watch “beeped” indicating it’s familiar connection with the orbiting satellites. I looked at my son and with a nod of agreement that we were both ready, we silently pushed off. We ran up Broadway ever aware of the slowly increasing traffic. I love how NYC has blocked off sections of streets to make it easier for pedestrians, runners and cyclists to move around. Soon Columbus Circle comes into view. We round the fountain, enter the park and merge across the road to the runners side. There we blend in with the other individuals enjoying the solitude of the park at this early hour. We continue to make our way along Park Drive until we round the end of the park. My son, having never run in Central Park made several observations. He talked as we ran about his ability to see sights which might have been otherwise missed if traveling by another mode of transportation. We make our way up the hills which one might never expect, around the Park and heading back to Columbus Circle. We make a few stops along the route to simply sit and enjoy the scenery. Several times we both sat in wonder at the beauty of the park in the middle of Manhattan. We make one final stop at Strawberry Fields to pay homage to John Lennon. I share with my son the history of the Imagine mosaic and point out the famed Dakota across the street. After several minutes in quiet contemplation, we head back to Park Drive and Columbus Circle where we sit on the edge of the fountain before making our way back to Times Square and ultimately, our hotel. The end of the run is insight. There is jubilation but also sadness. The run cannot last forever but the feeling achieved from such a magnificent time can and will live on in memory. The solitude of the park now behind us but a constant in our mind. Our heads clear of distractions and ready to once again take on the Manhattan crowds. On the walk back to the hotel, I hug and thank my son for an amazing start to what was an amazing day.